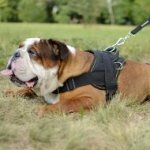 Pinch collars serve for hard to train Bulldogs. 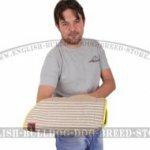 These collars are used during training only and by no means for everyday use to avoid Bulldog traumatizing. 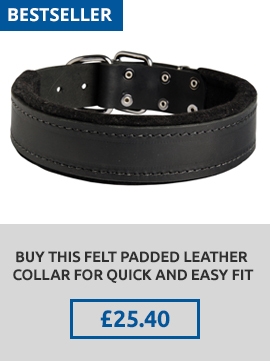 You should be specially careful while choosing such a collar. Many Bulldog owners refuse prong collars at all considering them violent and harmful. But experienced trainers have the opposing opinion. 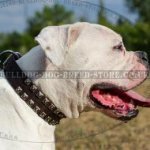 High-quality prong collar for Bulldog is the indispensible attribute and the very effective tool to correct undesirable behavioral issues. 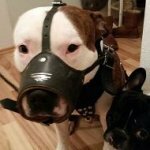 Suitable pinch collar acts in the same way when mother punished Bulldog in the puppyhood biting it slightly at the scruff of the neck. Thus prong collars are harmless and not cruel when made by professionals and used in a proper way. 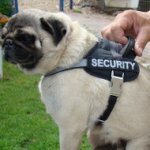 There are pinch collars with and without buckles. Which one to get for your Bulldog? Prong collar with buckle is very convenient in use. You will easily put it on and off with one click. 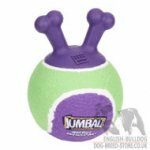 This helps to collar your Bulldog quickly and safely. The buckle is reliable and break-resistant. It is protected from accidental unlocking and withstands heavy loads. 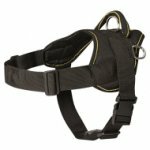 The option of quick-detach buckle makes the prong collar user-friendly. You needn't detach 2 links for putting on the collar. Prong collar without buckle is put on and taken off by detaching 2 prongs. It has a solid chain with 2 weld rings. They serve for leash attachment. When you attach a lead to a loose ring, you get a choker. 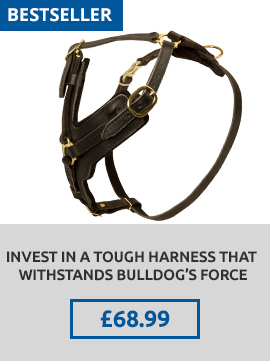 The collar is tightened around Bulldog's neck at tension. The second way of the lead connection is with the fixed ring. The collar tightening will be always stable in that case. 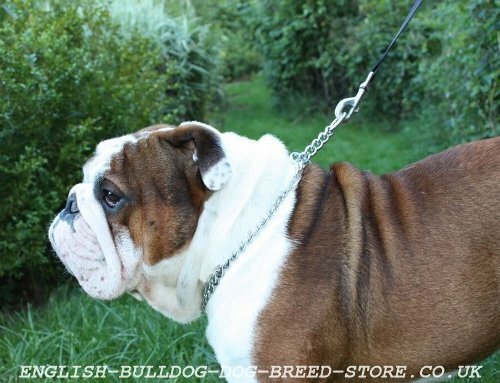 This method of leash fastening is recommended in first weeks of the collar using when you start Bulldog training. It helps to come in contact with your dog. A quite another matter is when Bulldog refuses to obey and you have to use the first way. 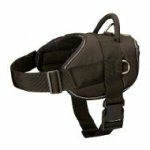 How to Use Pinch Collar Correctly? Never leave your Bulldog alone with the pinch collar on. 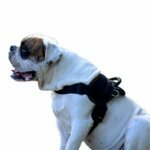 Choose a correct size of the pinch collar and it won't do harm to your Bulldog. Never try to put the pinch collar on over Bulldog's head, otherwise you may cause injuries to the pet's eyes. 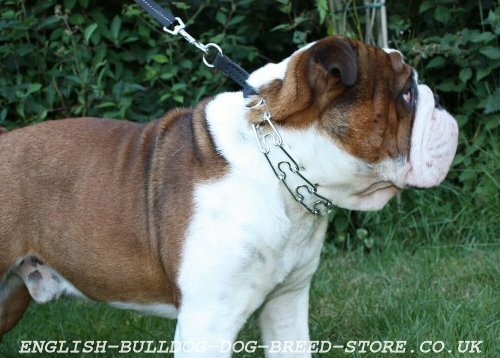 Wear the collar behind Bulldog's ears and under the jaw line. 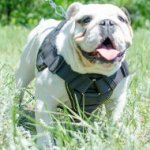 Use the collar for Bulldog training only and not for daily walking. Don't leave your Bulldog tightened on the lead with the collar on. Pinch collars don't suit for Bulldog puppy under 6 months. They can hurt its neck and trachea. Ask advice of a specialist before the prong collar purchasing. 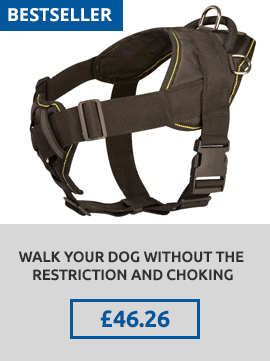 Use the collar under trainer's control if required.